My Girlfriend got her Oculus Rift today and we were trying to setup her VR Headset. 1. 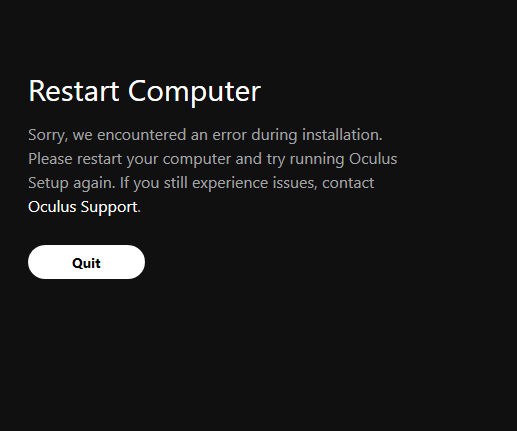 The first problem started while installing the Oculus App, which we downloaded those 4.75GB and the installation fails after waiting 20 to 25 min to finish. The error was just "Restart Computer". after that trying for the 4th time I executed with administrator and disabled Firewall and it finally worked. 2. After that we got stuck for setting the USB ports for the sensors, the headset, HDMI and 1 sensor was fine but it wasn't finding my 2nd sensor which we tried both USB 3.0 and USB 2.0, and after many tries we randomly "fixed". 3. 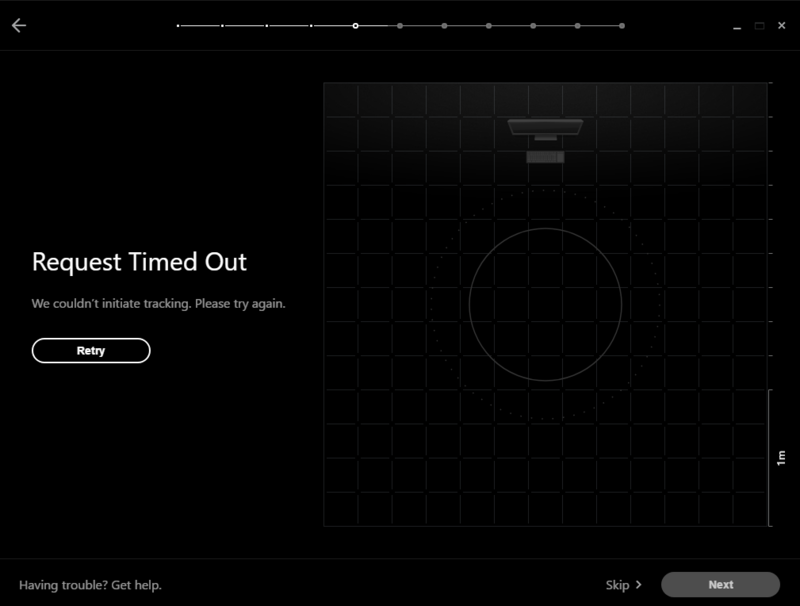 The after setting my height we are trapped in a screen of squeezing one Touch to recognize the sensors, however, t didn't work, after hold for 1.5sec or 2 secs a little circle with a green border start filling up and it goes to another error. saying that "Request Timed out" which says something went wrong and try again endlessly. 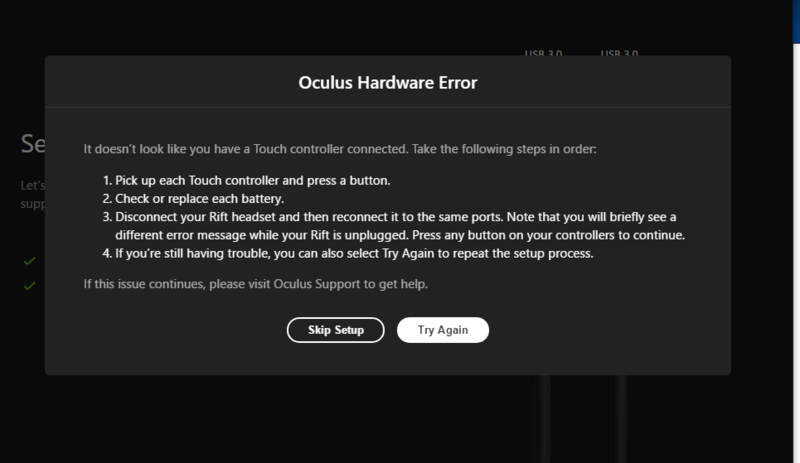 Psss: We tried to manually update oculus app using the patch that is in oculus website. Psssss: If we skip the sensor setting it says it can't track my headset and in VRmode, my hands appear far away from me. 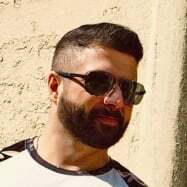 All these problems happened according with what I listed before. Heya welcome to the forums. Installing as Admin could have broken some permissions. You could try 2 things, first run a repair ..
Run setup again ... this should say that Oculus is already installed and if you would like to repair, choose the repair option. 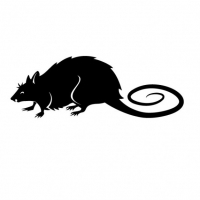 What did you do, repair the installation or reinstall from scratch? Hmm, stupid question, but did you try different batteries in the touch controllers? ^^ What LZ said + what could seem a bit silly... I sometimes get the time-out message if I am not holding the controller at roughly eye level and am obscuring the view of the controller from the sensors (usually body blocking the 3rd one in my setup, but even an arm in 2 sensor if holding the controller with a bent arm) so try the setup once more holding at eye level with a straight out arm. Hope you get it working properly - and welcome!